The key to a great family holiday is, of course, the time you get to spend together as a family, away from work, school, and the host of other commitments and chores that take up the majority of your time in your regular, daily lives. True as that is, there are some places that facilitate that time together, and others that are less family-friendly. If skiing is a favoured activity for your family – or you’d like it to be – then consider some time at the resort of Les Bruyeres (3 Valleys) in southeast France. 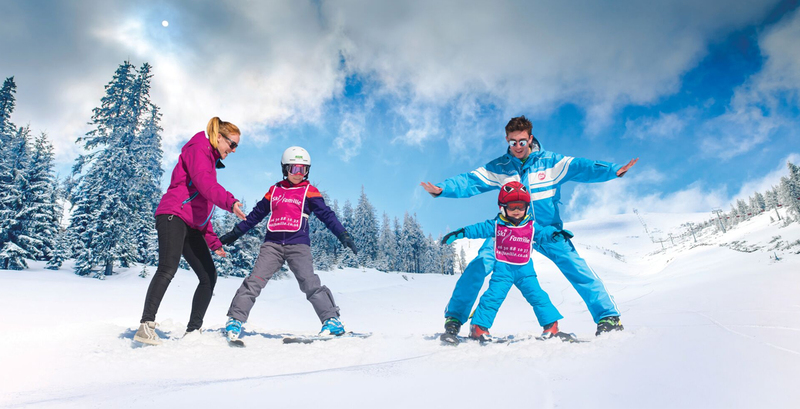 It not only has great skiing but also a host of other activities that will suit the varied interests of your family, regardless of their ages and preferences. The main hurdle for most families, when planning a holiday, is how to get there as easily as possible, and at good value for money. Les Bruyeres isn’t on the British doorstep, but it’s not so far away as to make it prohibitive either – and there are options to suit both your time frame and the way your family likes to travel. Flights for two can be cheap and relatively trouble-free, but when flying with the whole family, costs and hassles can mount up. One of the benefits of a family ski holiday in Les Bruyeres is the wider choice of travel options. Our Gatwick to Geneva flights and transfers are inclusive with your booking, however if you would rather self-drive, we can provide you with a £50 per adult discount. We also have flights from many regional UK airports that are available at a supplement. These include Birmingham Bristol Edinburgh Glasgow Heathrow Leeds Bradford Liverpool Luton Manchester Newcastle Southend. 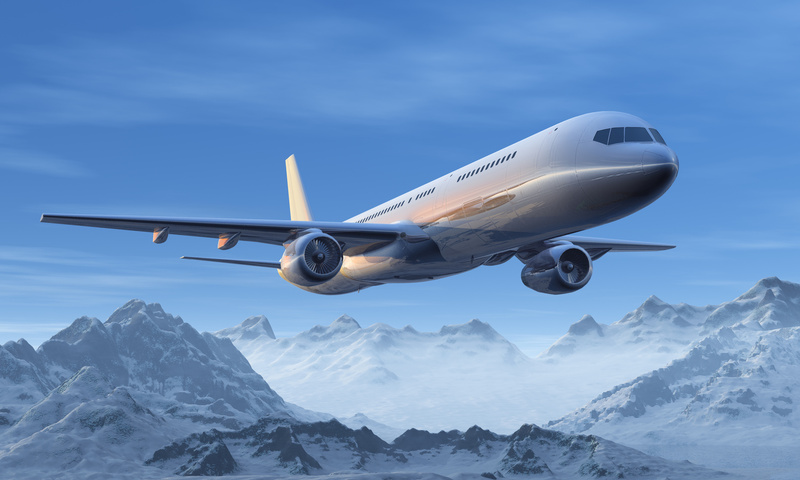 We have even more flight options for guests travelling to our other resorts. If you prefer driving yourself, you’ll be able to make the trip on your own schedule, at your own pace, and still take in all of the scenery. Your family will have the extra time to anticipate and discuss the impending time on the slopes, to plan fun activities, and to leave the schedules and commitments of regular routines behind you. GPS devices mean that you’ll find your way without much trouble, and once there you’ll have a vehicle at hand for any forays into the neighbouring communities to check out markets, activities, or sights. The drive from London is about twelve hours in good conditions. The only downside to driving there yourself is that road conditions are best either very early or late in the season. Because Les Bruyeres’ slopes are mainly south-facing, skiing conditions are best in the middle of the season. Wait too late, and the slopes will have lost much of their snow cover. The quality of skiing may suffer. A less popular option but still an option nonetheless is travelling via train. This provides the same trouble-free aspects of air travel, in that you won’t need to worry about driving, or finding your way to the resort, but it will allow for your family to bring more luggage, with fewer restrictions, and more freedom to stretch your legs during the trip. An advantage of this mode of travel is that you will get to take in the stunning scenery of the French countryside and the towering Alps. The nearest station to the resort is Moûtiers, forty minutes (28km) away. Outside of skiing, your holiday activities typically centre around your mountainside or ski-in-ski-out, catered chalet. 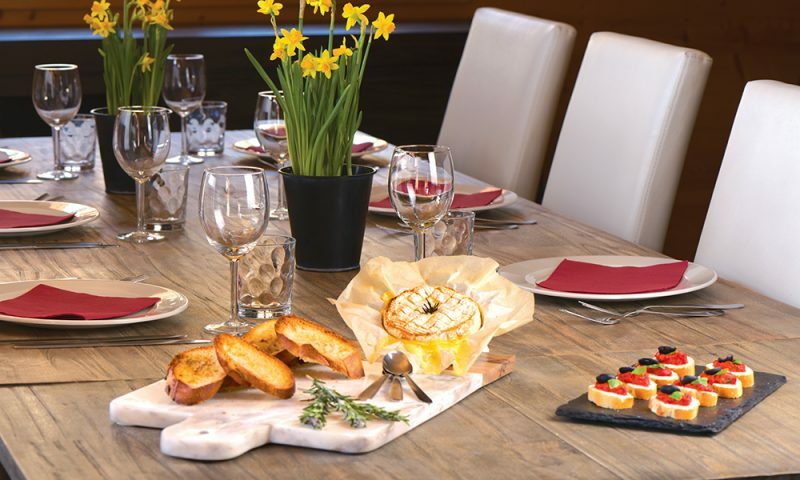 With beautiful, Savoyard charm and an Alpine ambience, your Ski Famille chalet may include a contemporary-rustic appeal, a crackling fire, a hot tub on the terrace, private sauna, fitness area, and a home cinema room complete with a Wii system. Since the holiday will centre around skiing, you’ll appreciate the views from your chalet (especially in Chalet Aigle), taking in both the natural beauty of the peaks around you and the dynamic scene of skiers, lifts and fun happening throughout the resort. 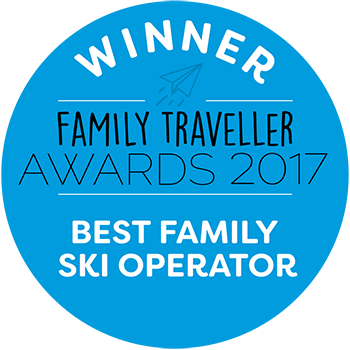 Rather than spend your time preparing food and cleaning up heaps of dishes, you’ll benefit from the Ski Famille catered service. Eat delicious chalet cuisine and leave the cleaning for the conscientious staff. Spend your time with your family, not with their dishes! After all, this is your holiday too, and a break from the chores of home life might be just the break you need. One of the best features of staying in a beautiful chalet is the privacy and control it provides for you and your family. You won’t need to deal with the noise of late-night revellers coming past the door to your hotel room, or the thump of bass music from a club in the same building. Your chalet will be your ‘home away from home’, as serene as you want it to be – a private getaway for you and your loved ones, in the heart of the stunning French Alps. If you are considering bringing extended family to the mountains, then you might want to consider having a chalet all to yourselves on a sole-occupancy basis. 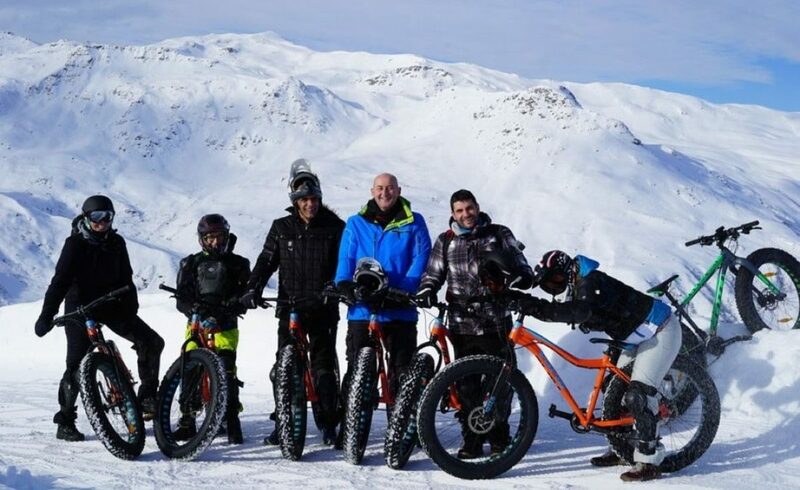 Most families include skiers of widely varying skill levels, and if it is your goal to help the novices gain skill and confidence alongside the more experienced family members, there is a wealth of choice in Les Bruyeres (3 Valleys). Over half of the resort is suitable for beginner to intermediate skill levels, with 13% Green Runs and 39% Blue. Such a broad selection of suitable runs means that you won’t get bored. No going up and down the same plain beginner slope for you and your loved ones; instead you’ll be free to range and explore, without getting stuck atop a steep or technical slope that is too much for the novice or intermediate skier. There are even two beginner areas with moving carpets to assist the true novice. If your family is comprised of experienced skiers, or if you plan to take a little time on your own, you’ll still have almost half of the resort to challenge your nerves and stretch your abilities. 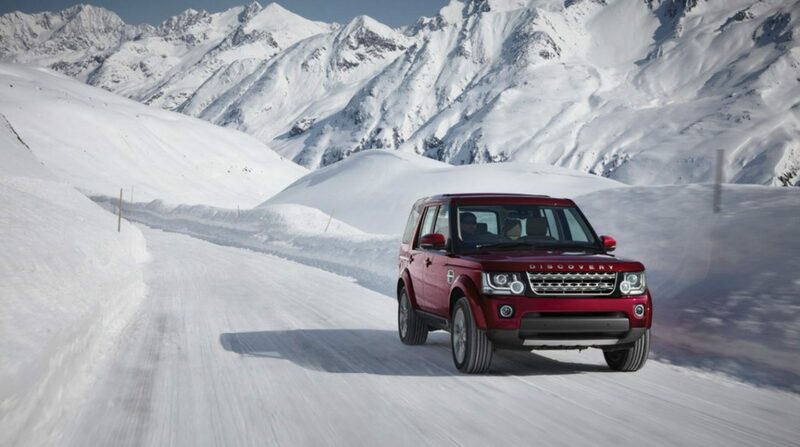 Deep-and-steep runs, moguls, powder, and the thrill of speed await the experts in your family. Surrounding the runs of Les Bruyeres are the lift links toward Val Thorens, Méribel and the rest of the Trois Vallées area. Regardless of each skier’s level of experience, there are lessons available that can increase skill levels and confidence. From beginner to advanced, the highly-trained instructors can offer tips and tricks to give your family more control on the slopes and increase enjoyment of this invigorating, thrilling activity. There is a variety of providers and instructors available, so prices will vary. Check with your travel package provider for advice on the best options for your family. We have carefully chosen the ski schools we work with based on the great feedback they receive, English-speaking instructors, as well as the ski school meeting points being close to our chalets. The ski schools we use are 360 International Ski School in Les Gets, ESF in La Plagne and ESF in Les Menuires (for our resorts of Les Bruyeres and Reberty 2000 in the Three Valleys). If you don’t plan to bring your own ski equipment, we work with equipment providers with trained staff who will make sure everyone has the proper fit and quality for their sizes and skill levels. Please visit ski hire pricing for more. Even the most dedicated skier likes a little time away from the cold and wind now and then, and there are many options in the area for après ski activities. The Aquafun and Wellness Centre is nearby and boasts a state-of-the-art aquatic recreation facility. The indoor pool includes underwater seating, artificial waves, massage jets for those tired muscles, and an ice-themed children’s area where your little ones can burn off that extra energy you wish you still had access to. Few things feel as good after a day on the slopes as a little time of drifting, weightless, in a pool. In the running, though, is the pampering of a soak in the jacuzzi, or the healing heat of a sauna session. Let the tension out of your muscles and prepare for your next day on the slopes while your children (if old enough) jump and play in the waves, supervised by skilled lifeguards. We also work with a mobile spa service called Massage Me. They send a licensed masseur to your chalet to work out the knots of the day while your children challenge each other on the Wii, chatter about the day’s fun in the Jacuzzi, or sip rich hot chocolate in front of the fire. If more outdoor fun excites you, there is a lot on offer in Les Bruyeres! You can try husky sledding, flying over the rises and falls of the snowy ground behind the yipping, bounding dogs. Another option is giving snow mountain biking a try. There is snowmobiling available for those who prefer motorised activities, or even mountain tobogganing for that old-school thrill of speed. Try one of them, or try all of them. There is a range of activities and services in Bruyeres as well. The cinema offers the latest showing from Hollywood and other film hubs. There is a large covered shopping precinct that offers a wealth of souvenirs, gifts, or any items that you forgot to pack, or preferred to pick up once at the resort. If you prefer more traditional shopping venues, or even simply want to soak in some local culture and practise your French, there is also a local market in La Croisette twice a week. Get a full breakdown of all shops near Les Bruyeres. In holiday times, there are always special events, displays and activities. 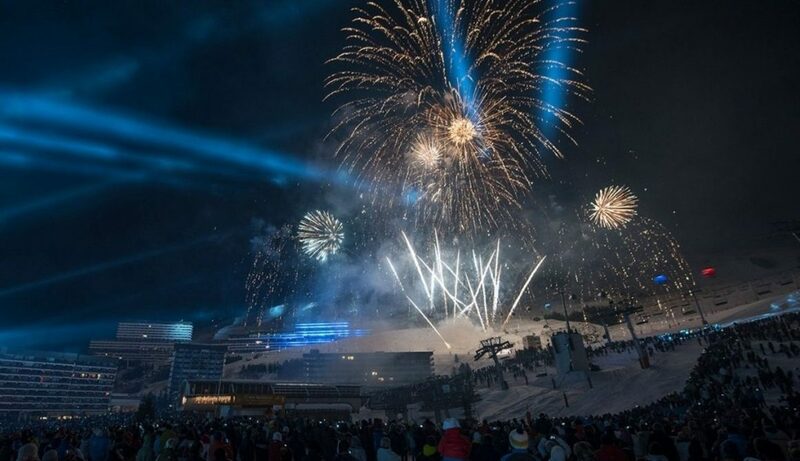 These range from Christmas shows and services, visits by Santa, and choral singing, to Easter Egg hunts, New Year’s Eve galas, and special competitions like the 3 Vallées Enduro race. Whatever your preference, you’ll be able to find something that will interest you and your family as you stroll the charming streets and bask in the atmosphere of a true alpine resort town. Les Bruyeres does have a few bars and late-night activities, but the atmosphere and focus are geared more toward family fun and child-friendly activities. Most of the French visitors are regulars, people who return with their families, year after year, to the same apartments. These sorts of visitors don’t support the same type of nightlife as elsewhere as the regulars tend to entertain themselves, or spend their off-slope time shopping and relaxing in some of the many shops, cafés and restaurants. You can visit the area confident that you will find a safe, enjoyable, and memorable place to spend time with your family and to recharge your own batteries. Les Bruyeres might just be the breath of fresh mountain air that your family needs. Call us on 01252 365 495 to speak to our friendly team on Les Bruyeres. Contact our friendly team for more information on this blog.